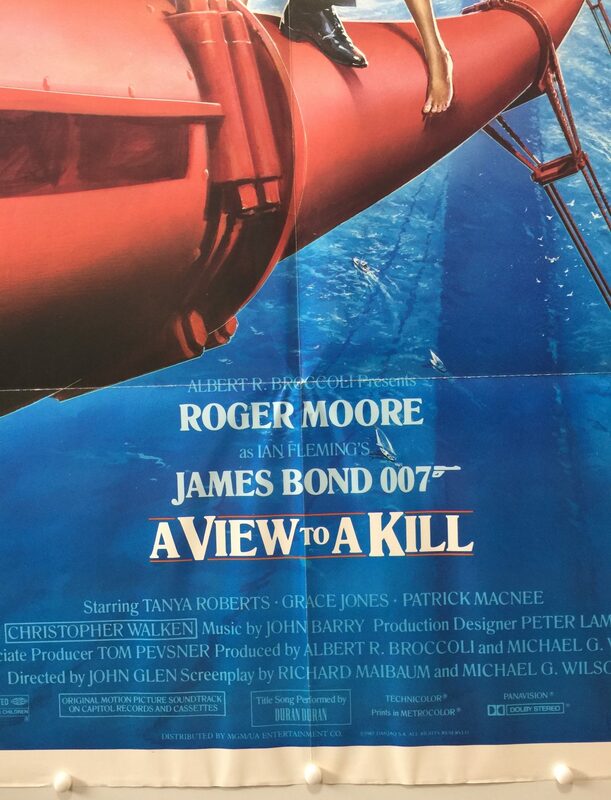 A View to a Kill released in 1985, is the 14th film in the James Bond series. It was directed by John Glen and co-produced by Albert R. Broccoli and Michael G. Wilson. The screenplay was co-written by Michael G. Wilson and Richard Maibaum. 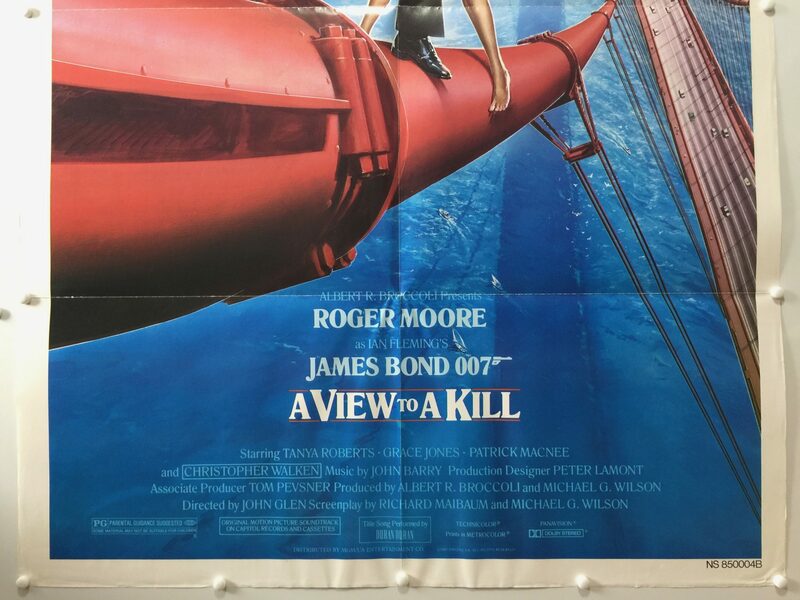 Although the title was adapted from Ian Fleming’s short story “From a View to a Kill”, the film has an entirely original screenplay. 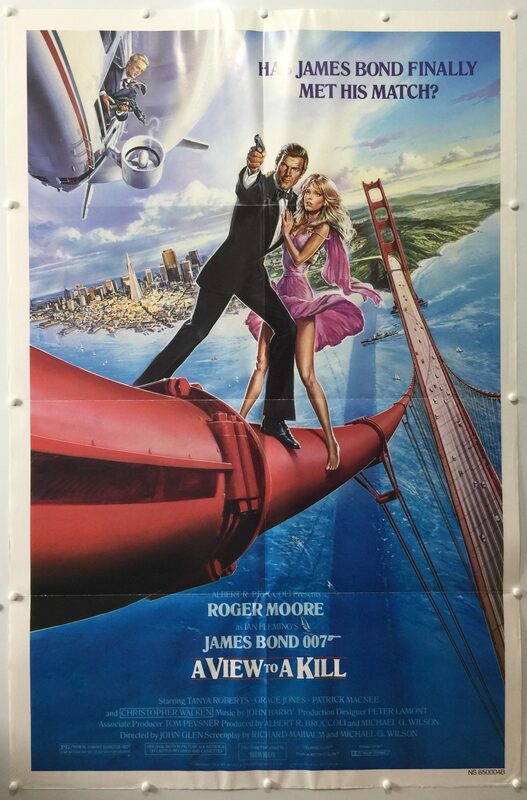 A View to a Kill stars Roger Moore, Tanya Roberts, Grace Jones, Patrick Macnee and Christopher Walken. 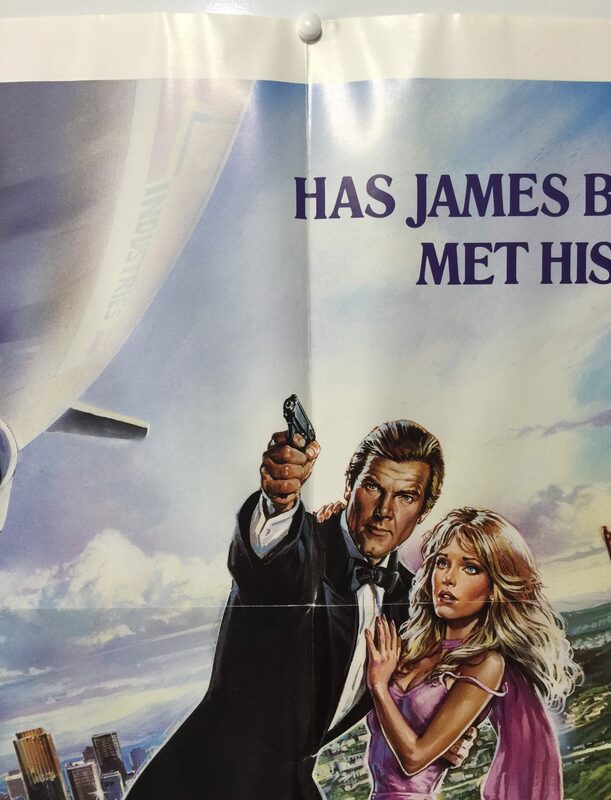 This was the 7th and final time Roger Moore played MI6 agent James Bond. 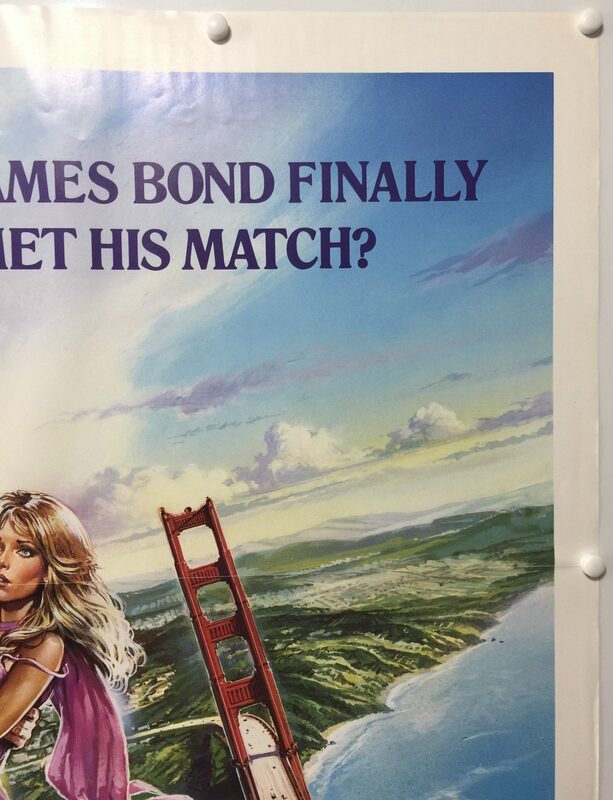 The third James Bond film to be directed by John Glen, and the last to feature Lois Maxwell as Miss Moneypenny. The storyline follows James Bond on an investigation into horse-racing scam which leads to a mad industrialist, Max Zorin. 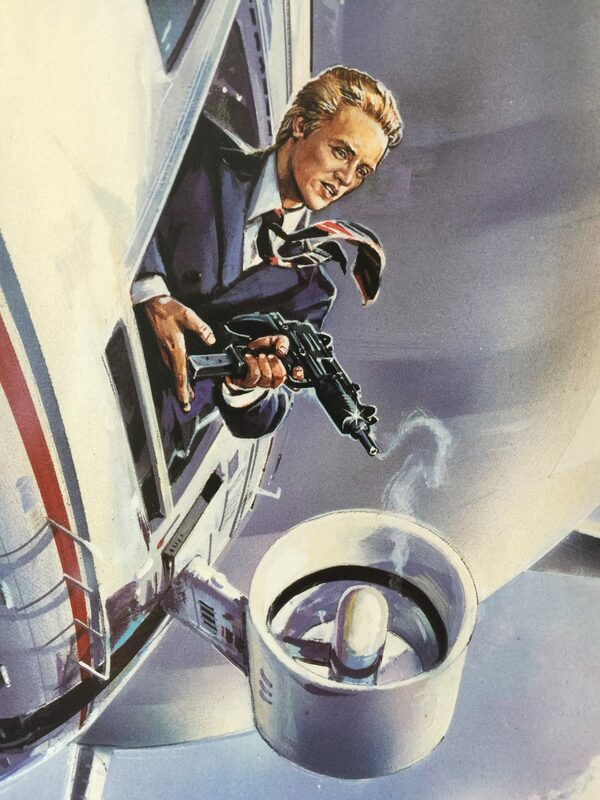 Zorin protected by his bodyguard, May Day is the product of medical experimentation with steroids performed by a Nazi scientist who is now Zorin’s physician, Dr. Carl Mortner. 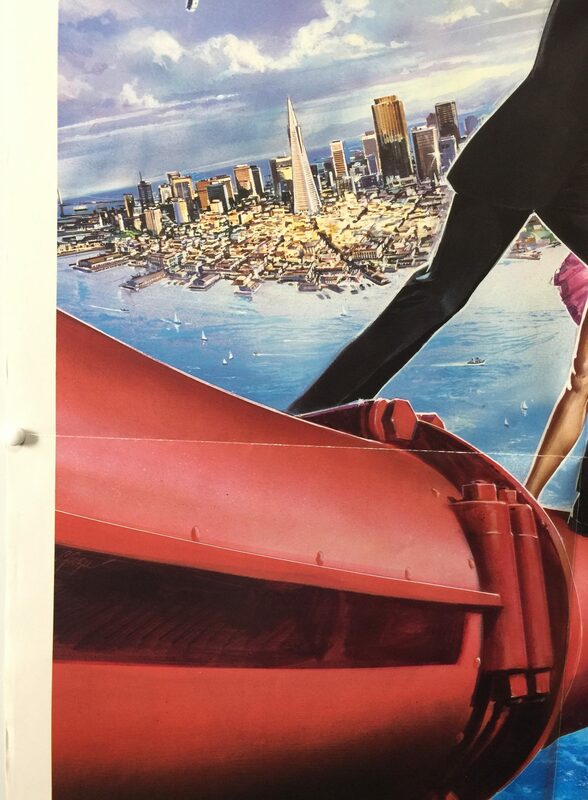 Zorin plans to create a worldwide microchip monopoly by destroying California’s Silicon Valley. 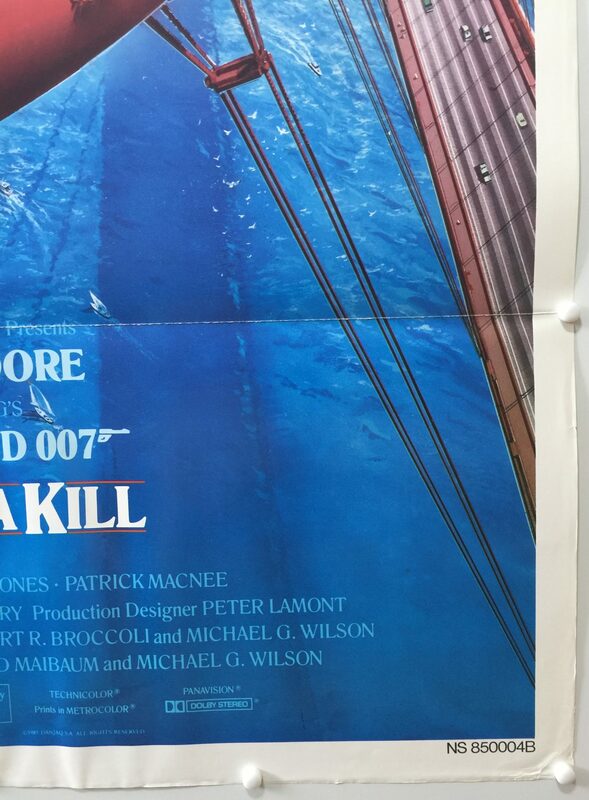 Principle photography for A View to a Kill was shot at Pinewood Studios in London, Iceland, Switzerland, France and the United States. Several French landmarks such as the Eiffel Tower, its Jules Verne Restaurant and the Château de Chantilly were used. 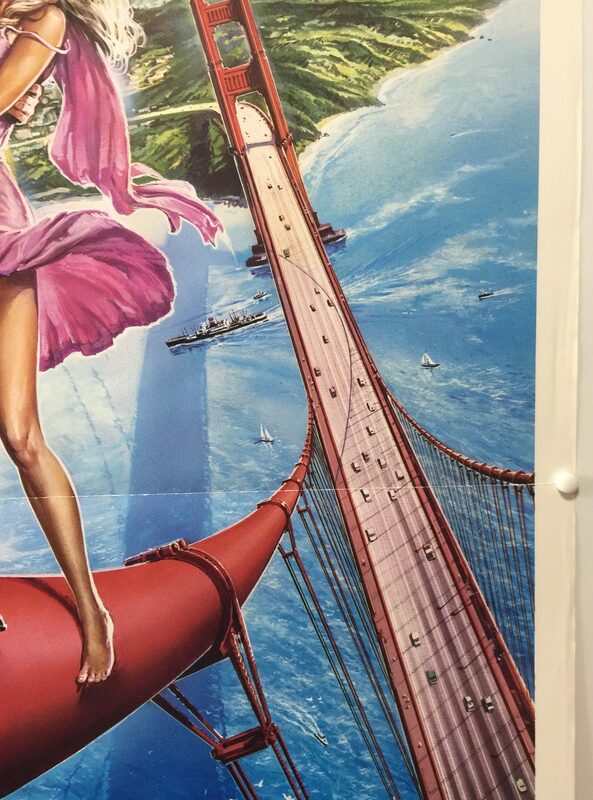 The rest of the major filming was completed at Fisherman’s Wharf, Dunsmuir House, San Francisco City Hall and the Golden Gate Bridge in San Francisco. The horse racing scenes were shot at Ascot Racecourse. 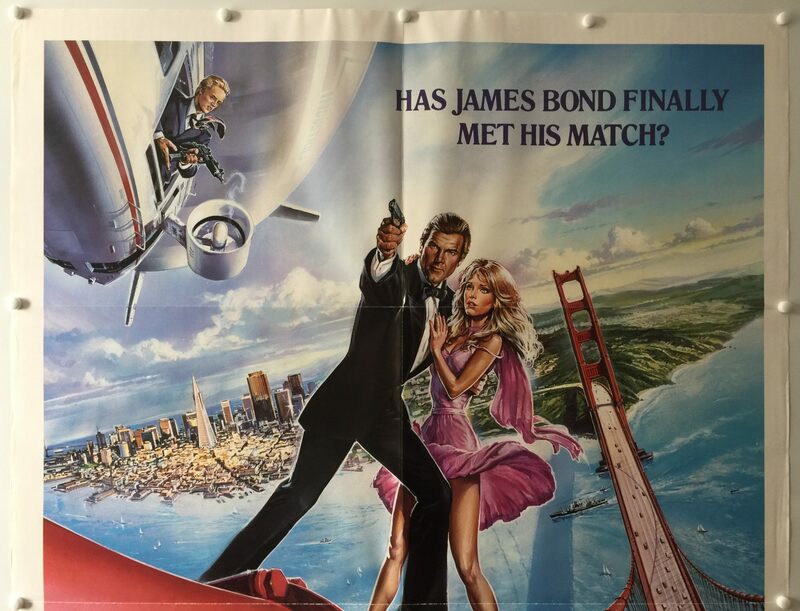 A View to a Kill was the first James Bond film to have a premiere outside of the UK, opening on 22nd May 1985 at San Francisco’s Palace of Fine Arts. 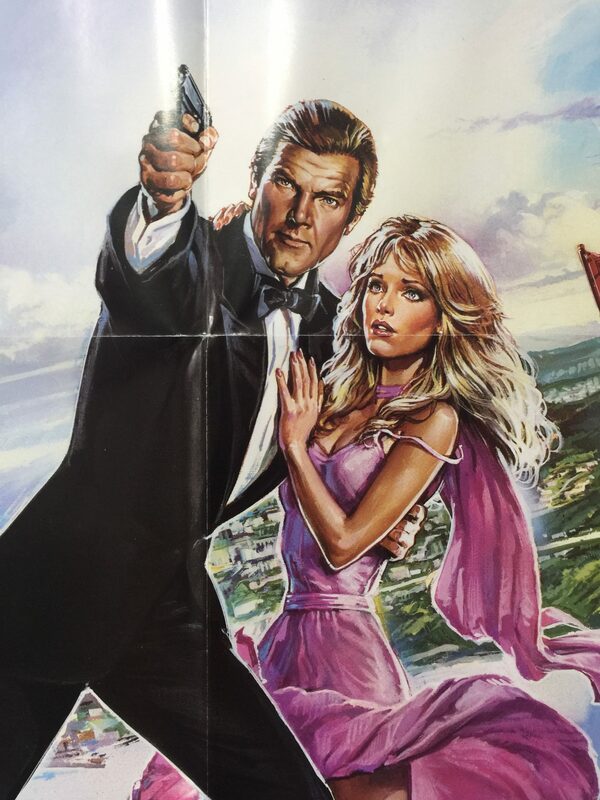 Roger Moore also said that, A View to a Kill was his least favourite James Bond film. He mentioned that he was mortified to find out that he was older than his female co-star’s mother. He is quoted as saying “I was horrified on the last Bond I did. 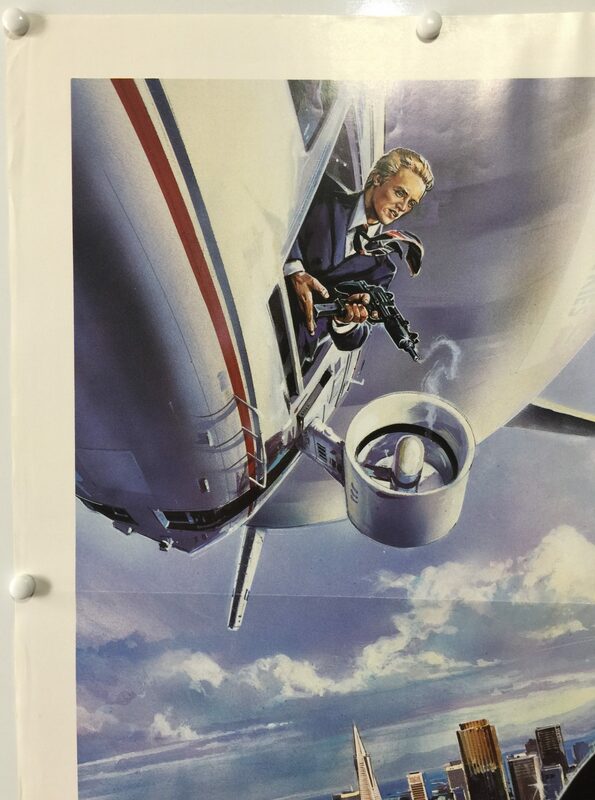 Whole slews of sequences where Christopher Walken was machine-gunning hundreds of people. I said ‘That wasn’t Bond, those weren’t Bond films.’ It stopped being what they were all about. You didn’t dwell on the blood and the brains spewing all over the place”. 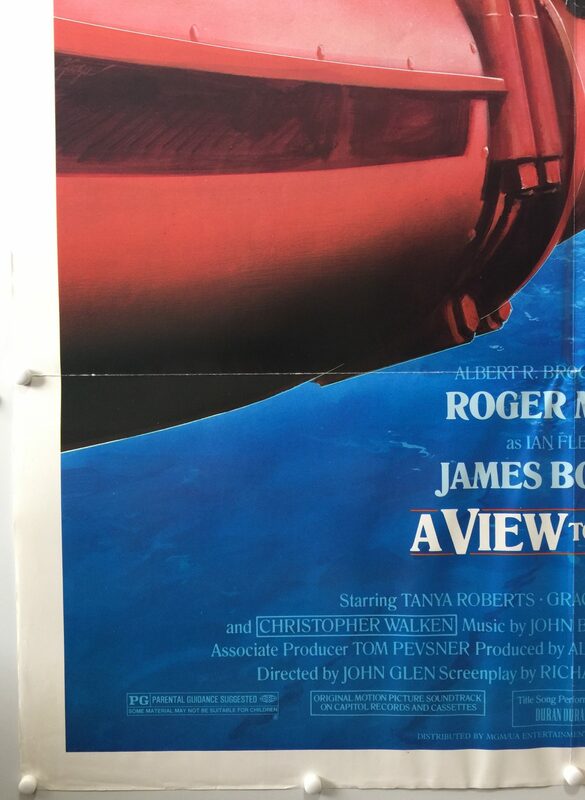 A View to a Kill was commercially a success having been produced on an estimated production budget of $30m, it took $13,294,435 in US box office takings in its opening weekend. It went onto take $152,627,960 in gross worldwide box office receipts. 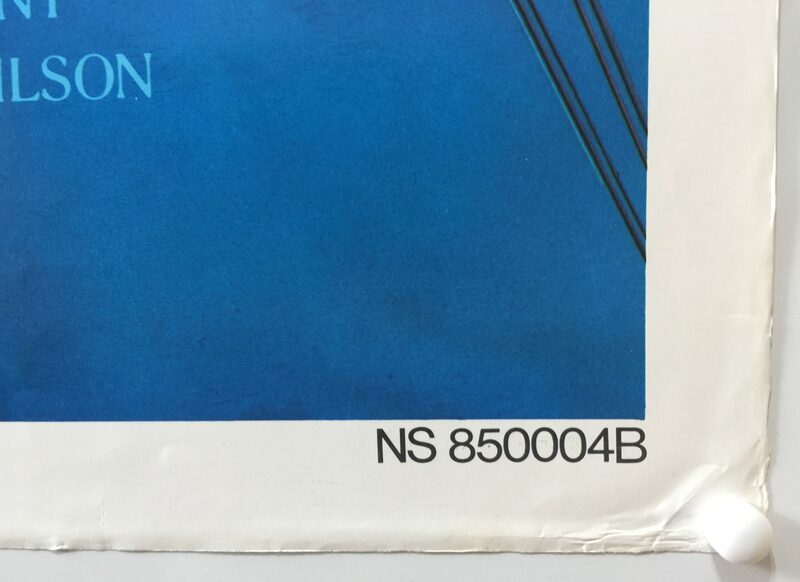 The Duran Duran theme song “A View to a Kill” performed well in the charts and received a Golden Globe nomination for Best Song.